Jesus was notorious for surrounding himself with the ordinary, the lowly and the unsophisticated, people that we might think of as ‘losers’. This shows Christians that God’s love is not reserved for the beautiful, the wealthy, the powerful – the world’s winners- but that God loves everyone. However, as Christians focus on Jesus as God we tend to forget that he was a rabbi, a teacher, who’s simple message was difficult for many people to grasp. It seemed that the more someone was schooled in religion, the more powerful or affluent, the more thick headed that person was likely to be. But for the worn out, the tired –the ones looked down upon as stupid and infantile – Jesus’ message seemed to click with them. Somehow the “losers” got it. Why did Jesus’ message seem to resonate with the lower classes and not with the intelligentsia? Was it simply because they were suffering and desired relief? Was it because they were victims of a collaboration between religion and empire, ready for social change? Or was there more to it than that? What was Jesus saying here? That he hung out with “sinners” because they needed his healing grace but not with the Pharisees because they already had their act together? Doubtful. More likely he was being sarcastic, pointing out that these ‘simple’ sinners, unencumbered with years of scholarship, lofty ideals and the belief that they owned special knowledge, were open to his teachings. Their minds were not cluttered and weighted own with heavy doctrines and dogmas. After all, they weren’t paid to think. Unlike their righteous rulers, who understood how the world worked, the ignorant common man suspected that something was not quite right with their lives, that something needed fixing. Today we know that it was the righteous who probably needed fixing the most. So, why didn’t Jesus spend more time with them? Maybe because he knew it would be a waste of his time. Those who already “know” all the answers are just too hard headed, too rigid, and too afraid to consider many counter intuitive messages. Instead he spent his time with the common people and from them he called his apostles, his best students. Maybe it was harder for an educated, successful man to follow Jesus than it was for that camel to thread the needle. For that matter, how do we know that Jesus only called those twelve men? Maybe they were the only ones who initially heard his call, hearing something of value in it. Maybe they were the only ones who understood enough of it to teach it. Later, they too became Masters, like Jesus. They proved this with their willingness to sacrifice their own lives rather than lose the Way. Another teacher, who lived 3000 miles away and 500 years earlier, spoke in ways that pre-echo Jesus’ teachings. Perhaps this has some bearing on why Paul and Timothy were “forbidden by the Holy Spirit to speak the word in Asia.” Could it have been because the word – the Good News about a way of living with and in God – was already being spoken there? This entry was posted on October 26, 2009, 3:48 pm and is filed under Bible, Buddhism, Christianity, ecumenical, Evangelism, Faith, God, Gospel, Inter-faith, Justice, Religious Tolerance, religon. You can follow any responses to this entry through RSS 2.0. You can leave a response, or trackback from your own site. Very interesting thoughts here. Never thought about it that way. It makes me think about it now though. I like to be challenged. Through Taoism G-d planted the seed of the Word, so that they might be ready to hear the Holy Gospel and be joined to Christ’s Body. 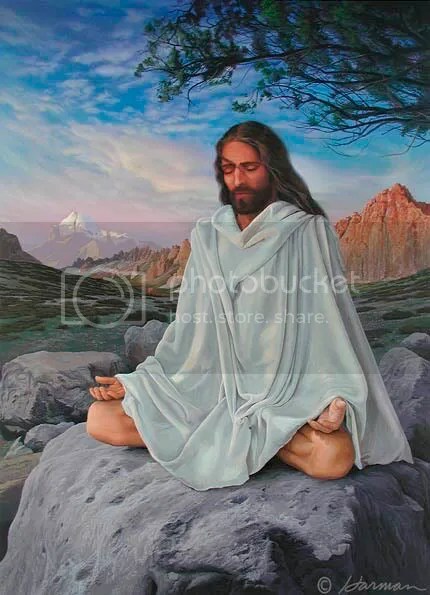 You should check out Christ the Eternal Tao, by Heiromonk Damascene. Thanks. Looks good and I intend to read it. I visited your site (very nice) and see that your Orthodox. No surprise. A very open, tolerant and spiritual tradition. Tell us more about what you know about the Tao and Christ. And congratulations on your upcoming marriage.